Trust and transparency are important to Plan International. 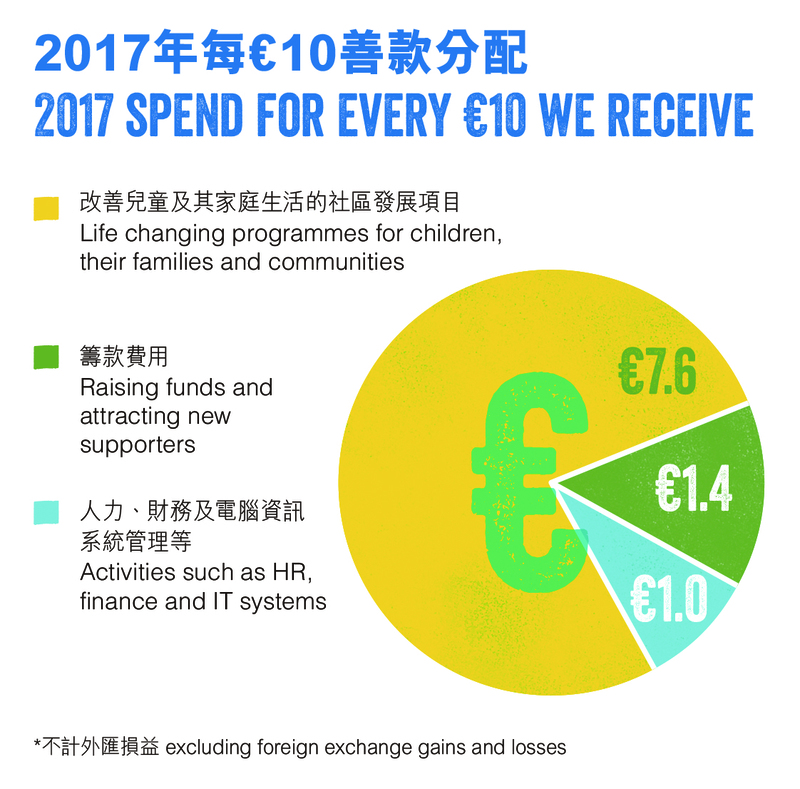 We are one of the few global NGOs to publish combined worldwide financial statements that detail our fundraising and spending. 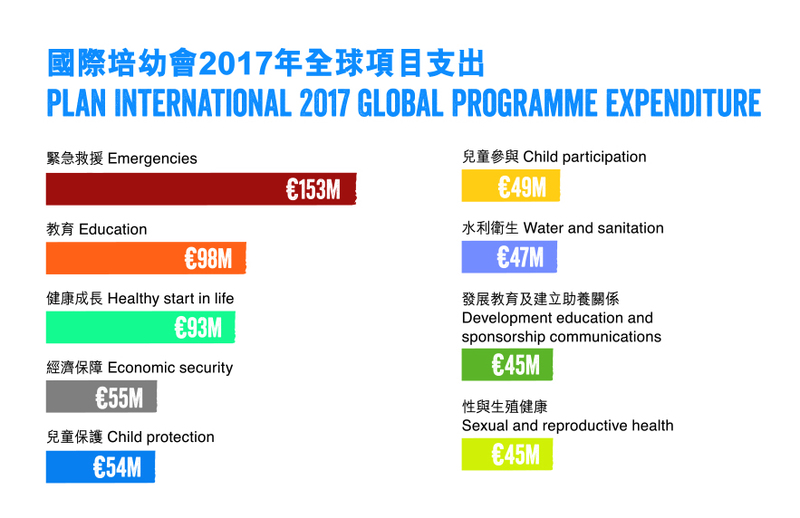 Plan International ensures that administrative and fundraising costs are strictly managed so that the highest possible amount goes to needed children and families. 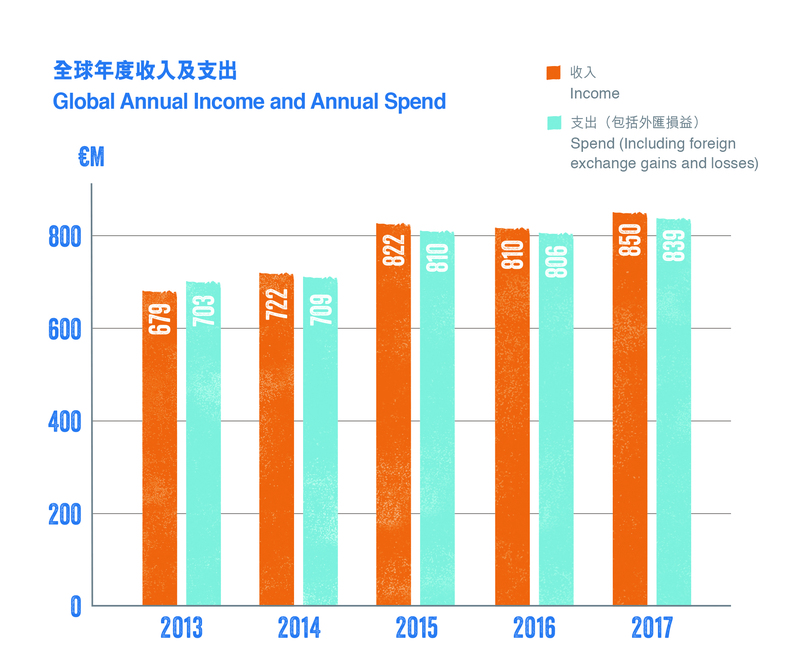 In fiscal year 2017, the total income of Plan International Hong Kong was HK$ 78.01 million, an increase of 22 per cent over last year. 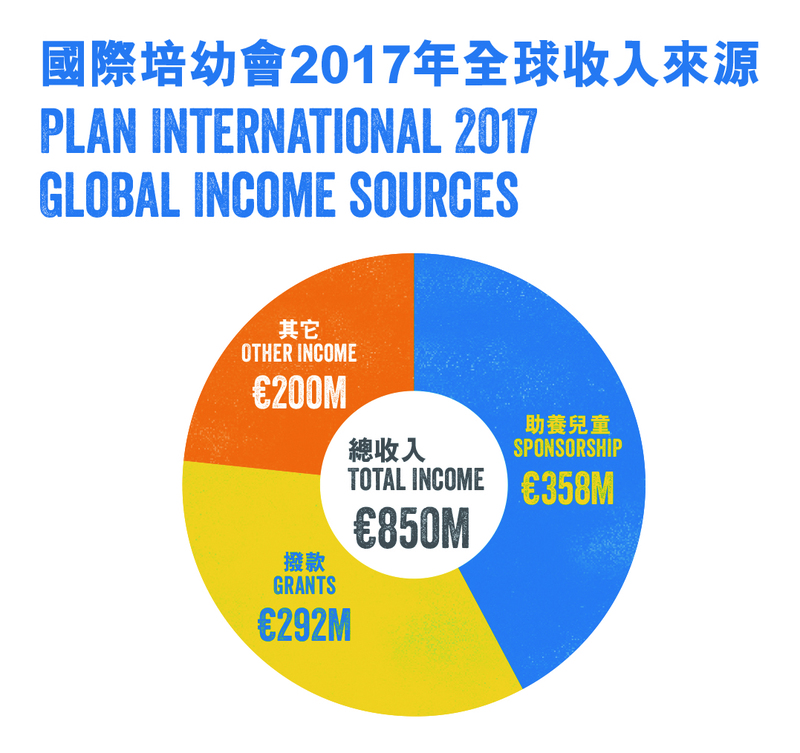 Funds raised by Plan International Hong Kong are remitted to the headquarters, except for the amount which has been held to support the Hong Kong office operation, and thereafter allocated globally from a central source in accordance with the spirit and intent of donors. Please refer to the following charts for details on our global operation. Plan International will allocate donations for designated projects in accordance with the donor’s intent. However, when the designated project is fully funded, additional donations will be used where needed most for more efficient use of resources without prior notice.